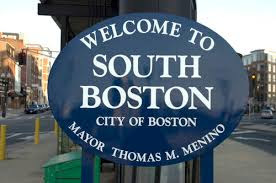 Home / cities / Edward Glaeser / General Electric Company / Justin Fox / Robert Gordon / South Boston / suburbs / GE moves to Boston: a changing paradigm for 21st century technology? GE moves to Boston: a changing paradigm for 21st century technology? 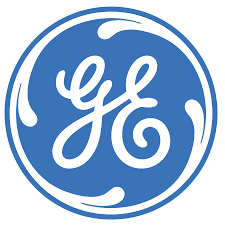 aroused in hearing about the decision of the General Electric company to move its headquarters from the New York suburbs in Fairfield, Connecticut to Boston, in the near-by state of Massachusetts. When the move is consummated, the company will decamp in the rapidly developing area of the South Boston waterfront, variously described as the Seaport District or, perhaps more ambitiously, the Innovation District. Those Kat readers who are familiar with the area also appreciate that it is located only a short ride across the water from Logan International Airport. Most reports on this announced move focused on the importance of tax considerations, namely that the State of Connecticut had raised taxes and that GE was offered $120 million dollars in tax benefits and other attractions to make the move. But some commentators have observed more tectonic aspects in connection with this move. Justin Fox, formerly of the Harvard Business Review and now affiliated with Bloomberg News, noted that in 1960, eight out of 10 of the largest Fortune 500 countries had been located in big cities (four in New York City). What followed was an exodus of these company headquarters to suburban-based office parks (including GE). 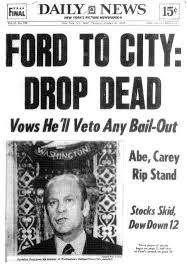 The sad plight of corporate city centers was embodied in the 1975 headline of the New York Daily News in connection with the reluctance of the federal government to bail out New York City— “Ford to City: Drop Dead”. More recently, the iconic high-tech companies have set up shop not in the cities themselves but in less urban Silicon Valley. Traditional urban centers continue to be shunned, at least until now. And so the question—is the GE move to Boston a harbinger of things to come? On the one hand, one could argue that the move reflects a specific set of circumstances, including tax benefits and the availability of land and resources in the developing South Boston seafront. On the other hand, one cannot ignore Professor Glaeser’s arguments in favor of the city as the preferred setting best situated to take advantage of the possibilities of the knowledge-based economy. Indeed, there is evidence that development in the suburbs has stagnated and we are witnessing a return to urban centers. Professor Robert Gordon of Northwestern University has lamented for some time that following a century (1870-1970) of unparalleled technological development, aided, in his words, by the patent system, since the 1970’s, the United States has become less dynamic and productive. Tantalizingly, the start of this decline, as recounted by Professor Gordon, took place at the same time as the move out of the big cities of the headquarters of major companies. This Kat does not want to argue that moving GE to Connecticut necessarily made GE a less dynamic company. However, the view seems to have been expressed that suburban Connecticut was increasingly viewed as an unfavorable setting to enable GE to become a “high-tech global industrial company”. At least three questions follow from this. First, will other companies of the ilk of GE follow in its footsteps and return to major city centers?Second, if so, will the nature of the technology developed by such companies be favorably impacted due to the presence of the company’s headquarters at the ground zero of the knowledge economy ecosystem? Third, will the IP practice need to change to address the possibility that the company headquarters of more and more multinational companies will be returning to the big city? We shall see. Paul Graham, the Ycombinator founder explained this a long time ago in 2005. An apartment is also the right kind of place for developing software."